Environmentally sustainable practices of agriculture can be used as our dominant method of agriculture systems, which would match the growing demand for food and also minimize environmental impacts. As the global population increases, it puts more stress on our food production system. It also brings us to realize that we must find sustainable methods of farming that does not use a lot of resources, or we might face food shortages in the future. We must find a food production system that produces more with fewer resources, and that also does not deplete our environment. Our resources, such as land, water, and energy are limited, but the demand for food is increasing every day. 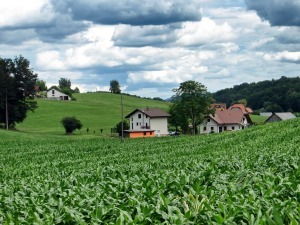 Many have argued that sustainable methods of agriculture, such as organic farming, may not be suitable for large scale farming. Because of this, it may become impossible to adopt organic farming as a dominant method of agriculture for sourcing food. However, recent studies suggest that there might be some good news. It might be possible to produce enough food for all of us, without compromising the quality of food, our health or our environment. Food and Agriculture Organization of the United Nations (FAO) conducted an experiment in 1996 in Laos, through the Integrated Pest Management Program (IPM). The approach introduced the farmer to a field school approach of experiential learning to help farmers make decisions and find answers for themselves. This program has helped Laos farmers to manage pests and diseases on fruits, coconut and cassava with sustainable methods. Since the introduction of the IPM program, 24 000 farmers in 801 communities, in nine different provinces have participated in training and formulation of community action plans for pesticide risk reduction. With this program, farmers who did not have any education or formal training in agriculture learned sustainable methods of agriculture – such as crop rotation – learned about life cycle of pests, sustainable methods of pest control and agriculture without using any chemicals or synthetic fertilizers. Although it wasn’t organic farming, it was a sustainable method of agriculture. What yields more – conventional or sustainable agriculture? When faced with the question, “Which approach produces more food – the environmentally sustainable methods or conventional methods?” it was found through studies that the yield through organic farming is lower than conventional yields. In cases where farmers strategically planted more than one crop in their fields, the yields from an organic farm was even higher and organic fields produced almost as much as conventional farms. So, when considering the variety of crops that can be produced and the higher price that the consumers are willing to pay for organic food, organic farmers almost always made a higher profit. 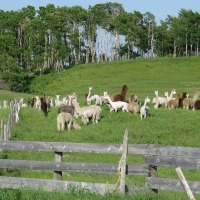 Ben Pfeffer, the owner of Raisin’ Roots Farm, a graduate from Towson University with a degree in agriculture , talks about the exciting things happening at Raisin’ Roots and Mountain Sky Ranch.